Purchase your GruppeM Intake for the Lamborghini Gallardo Coupe V10-5.0L at ModBargains.com and SAVE - We offer FAST SHIPPING. Over 60,000 satisfied customers. Experts ready to help: 714-582-3330 to Order Now. 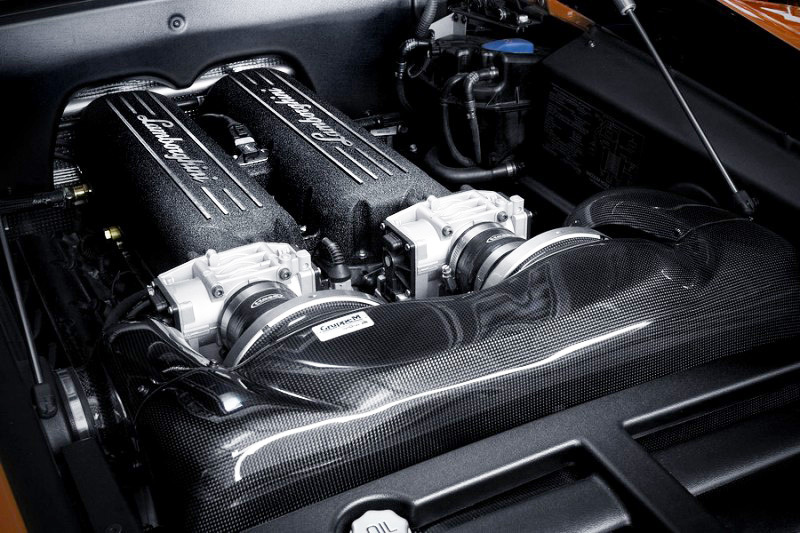 If you are looking for a high end intake that performs and looks unlike any other to enhance the appearance and sound of your Lamborghini Gallardo, you are in luck! GruppeM Intake for the Lamborghini Gallardo Coupe V10-5.0L replaces the factory air boxes with an efficient direct flow intake system, designed to make maximum power gains. The GruppeM Lamborghini Gallardo Intake system is designed to harness the maximum amount of air available by bringing cold air directly from the front grilles into the intake manifold; allowing for more horsepower and torque across the entire RPM Range. Call Modbargains today to speak to one of our highly trained car enthusiasts about the GruppeM Lamborghini Gallardo Coupe V10-5.0L Intake, we also install! Less air restrictions improves deep engine sound. Professional installation is recommended. Get the Lamborghini Gallardo Coupe V10-5.0L Intake System installed by our experts at ModBargains. Our experts are highly trained to perfect each install. 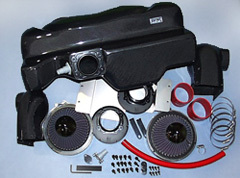 Do you have any questions about this GruppeM Intake System for the Lamborghini Gallardo Coupe V10-5.0L?